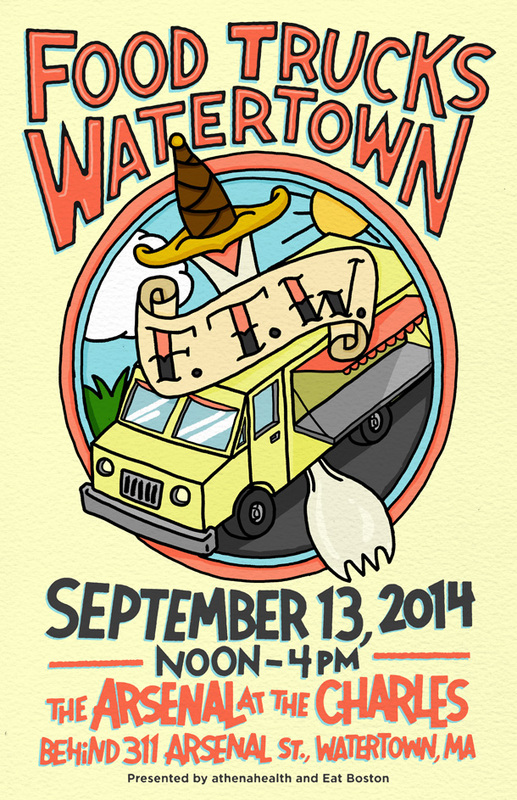 On September 13th from 12PM-4PM, come out to Watertown as The Arsenal hosts an afternoon featuring area food trucks, a beer garden from craft breweries, and entertainment from Red Sox Musical DJ TJ Connelly (That's right, TJ the DJ!). Info on the confirmed trucks and brewers will be announced soon, but in the meantime sign up on the email list for more info. We're doing this event a little different than our others in that YOU get to choose how much it costs. Tickets will be "pay what you want" (between $2 and $10, suggested price of $5). Why? Because who doesn't like ticket science!? Unlike many food truck events, only a set number of tickets will be sold. Your ticket gets you into FTW, food and beers will be sold inside. Beers will be sold in sample size pours. If you know you're coming, invite your friends and RSVP here. If you're looking for a ride out to Watertown, we'll have a shuttle operating continuously from 12-5PM between Harvard Square and the event site. A 34-passenger shuttle bus will run every 20 minutes from Harvard Square (74 Mt. Auburn St., at the end of Dunster St.) to the event. The first shuttle will leave Harvard Square at 12pm and the last shuttle will leave The Arsenal at 5pm. The Arsenal is about 45 seconds from Harvard Square (and by 45 seconds we mean like 12 minutes). Details subject to change. This is an all ages event. On sale now! PAY WHAT YOU WANT! (Suggested $5) This ticket includes entry to the event. Food and beer will be for sale inside.